If you are looking for a small premier lifestyle mall offering numerous local boutiques, Millenia Walk is your destination. Set within the Marina Zone it is easy to reach by car, train or bus. The open atrium structure designed by Pritzker Award winning architect Philip Johnson makes shopping in such a pleasant environment a very enjoyable experience. Should you visit Millenia Walk, here are travelshopa’s top 8 local shops you must visit while there. PARCO next NEXT. A fashion design incubator project with a mission of nurturing promising local design talents. This one-of-a-kind space features specially curated selections of Singapore’s most exciting new labels in a showcase encompassing a range of diverse and evolving fashion concepts, from avant-garde to high street chic. Get to know emerging fashion designers such as Alexandria Chen, Saloni Rathor, adn many many more. The Emporium. The Emporium is Millenia Walk’s exciting new multi-brand fashion and lifestyle pop-up store. 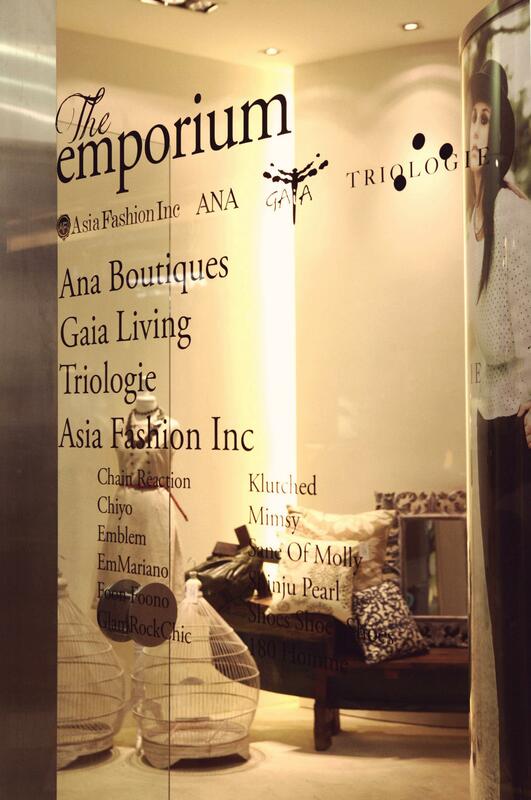 The merging of fantastic local brands Ana Boutiques, Gaia, Triologie and Asia Fashion Inc offer shoppers a fresh, stylish and enjoyable retail experience. This eclectic mix provides something for everyone – great clothes, shoes and accessories for men and women, furniture and home décor items, gifts and much more. Déjà vu Vintage. A well-loved vintage store that peddles premium vintage, handmade accessories and everything one-of-a-kind. Each item is personally selected, and imported from the U.S, Europe, Australia or Japan. And to make sure shopping truly is retail therapy, they’ve banished the messy displays and rummaging associated with vintage shopping. Shopping at Déjà Vu Vintage is true pleasure in an elegant, spacious environment. Trixillini. 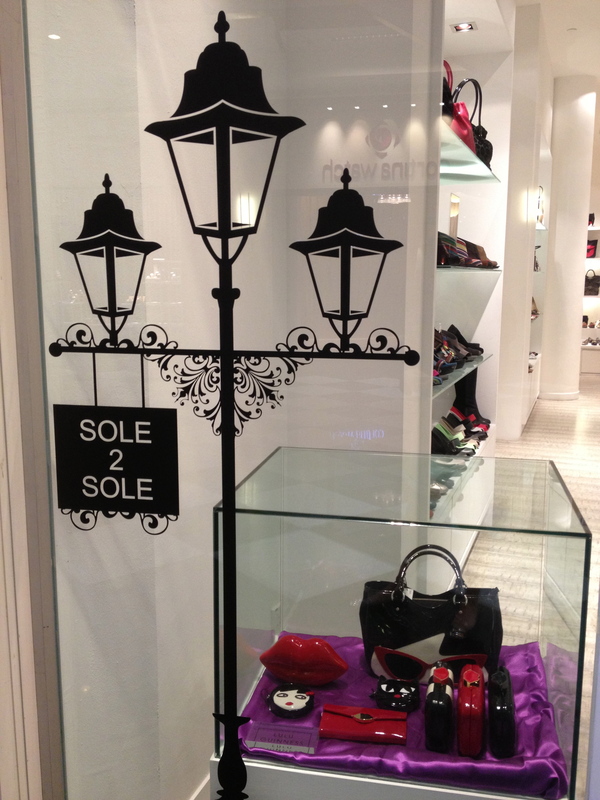 The place for sophisticated ladies to indulge their impeccable taste in all things feminine. A sanctuary for fashion lovers, reminiscent of a luxurious private boudoir; this gem of a boutique provides a range of fabulous local and international brands. Shop local brand Ribbon & Roses here. Individual Expression. Set in an imaginary Utopia, I.E. takes the best of traditional materials and vintage chic to create a style that embraces the world’s cultures, evoking an old-world romanticism with a gypsy soul. Bound to nature and dedicated to social responsibility and self-awareness, I.E. strives to balance the minimal with decoration, a marriage of tradition with contemporary sensibility. Mother and Child Project. Mother and Child Project is a Social Enterprise run by Singapore Anglican Community Services and seed funded by Comcare Enterprise Fund. All products are made in Singapore by mothers (mostly single mothers with children), retirees and women recovering from psychiatric illnesses. By providing sewing contract work under the Mother and Child brand, Mother and Child Project provides home-based work for disadvantaged mothers and their children so that they can become economically self-sufficient. A large percentage of money earned from each product goes back to these women. boot-iful. A store which believes that your child deserves nothing but the best; creating a safe, comfortable and nurturing environment for your munchkin, surrounded by warmth and cosiness. Simply because, childhood dreams should be made of this. Boo-tiful is not about getting you to bring home just another piece of furniture. This is a reflection of your taste, an extension of your personality and our dedication to creating the nursery of dreams for the most precious child – yours.